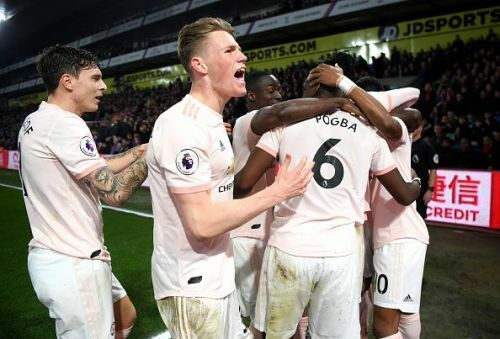 The injury-stricken Manchester United proved their mettle against the in-form Crystal Palace side with a solid 3-1 victory. It was a good away performance which led to an 8th consecutive away victory under Ole Gunnar Solskjaer. United went into the game with nine of their first-team members missing through injury. And Crystal Palace started the game with intent, but Manchester United had most of the ball. 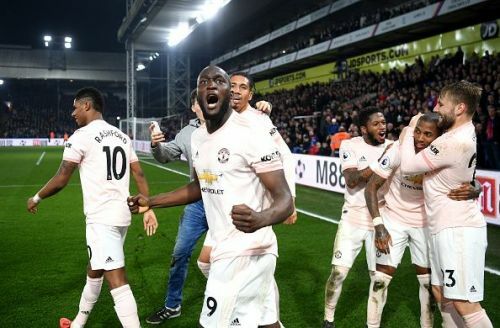 Romelu Lukaku missed a sitter in the early stages of the game but redeemed himself with a Luke Shaw-inspired goal in the same half. United went into the second half with a one-goal advantage, and were on the front foot. But Paul Pogba missed another opportunity when he headed Diogo Dalot's cross over the bar. Lukaku scored his second from a poorly defended corner by Crystal Palace. The hosts showed some character after that and Joel Ward got one back with 25 minutes to play. United found themselves pinned back by the pressure exerted by Palace during this period of play, with the hosts looking more likely to score. But Ashley Young scored the insurance goal in the 83rd minute after a quick build-up involving Pogba and Lukaku. Romelu Lukaku scored twice against Crystal Palace. Lukaku has been getting a lot of stick from United fans lately, and rightly so. He looked lethargic on the pitch and his link-up play had been awful throughout the season. But he stepped up when his team needed him the most. Against Crystal Palace, he looked like the player United paid £75 million for. Lukaku scored the first 2 goals and was involved in the 3rd for Manchester United last night. His link-up play was magnificent and he bullied Kelly and Tomkins for most of the game. He did miss a sitter at the start of the game, but made amends by scoring two. If Lukaku wants to get into the first team permanently, he needs to continue performing like this every time he gets the opportunity. It will be exciting to see how he performs in the coming weeks.